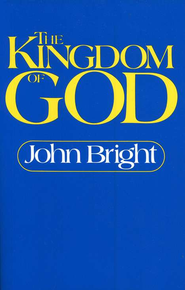 I think the reason that John Bright and Graemes Goldworthy did not see the NT supporting the idea that the land of Israel had a big part to play in the Kingdom of God comes from their reading of Galatians 4:21-31--earthly Jerusalem corresponding to Mount Sinai and slavery to sin; and Hebrews 12:18-24 contrasting Mount Sinai and heavenly Jerusalem as opposed to the earthly city. Hebrews 11:10-16 also speaks of Abraham seeking a heavenly country rather than an earthly one. But these scholars still could have written about this if that was indeed their perspective.